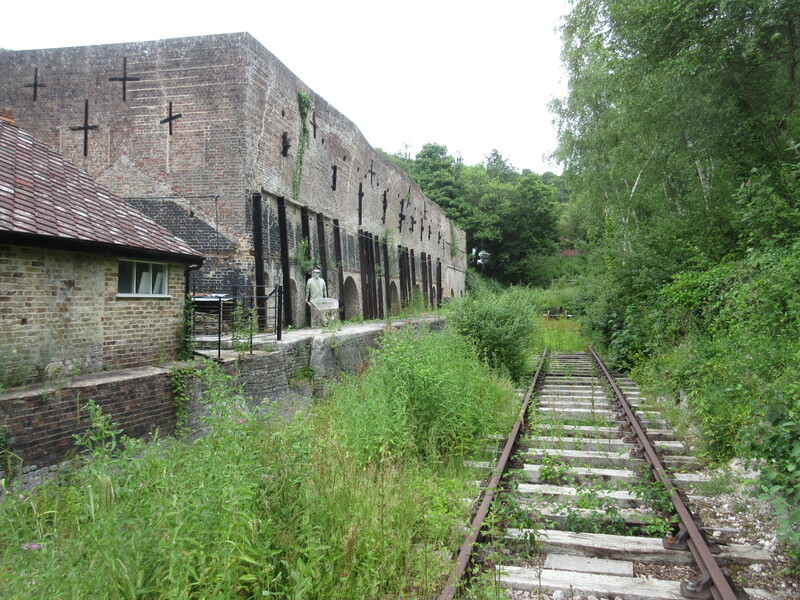 Below: The site of the museum was once a quarry, sending processed lime from the works, the kilns of which survive and have recently been conserved as seen below. 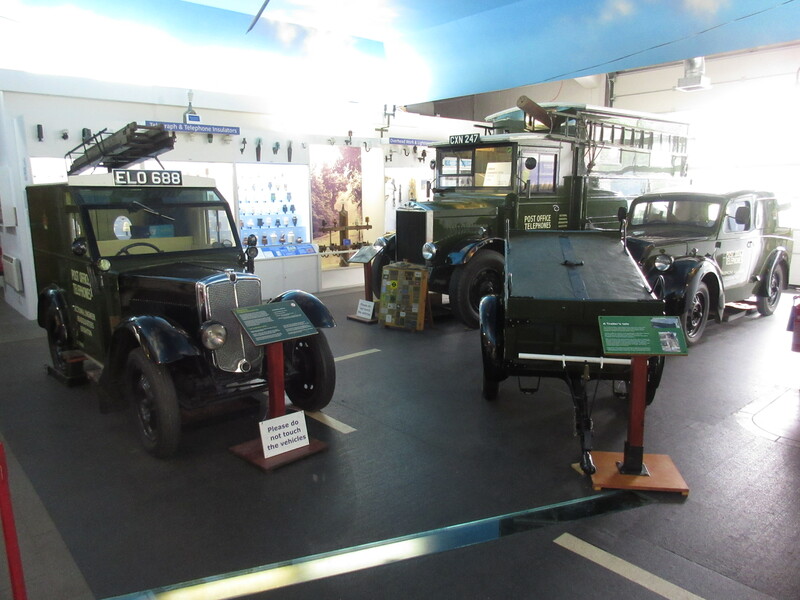 The museum is a collection of specialist interest projects, volunteer run, which enables it to demonstrate skills and trades from the area across a fairly broad time frame. 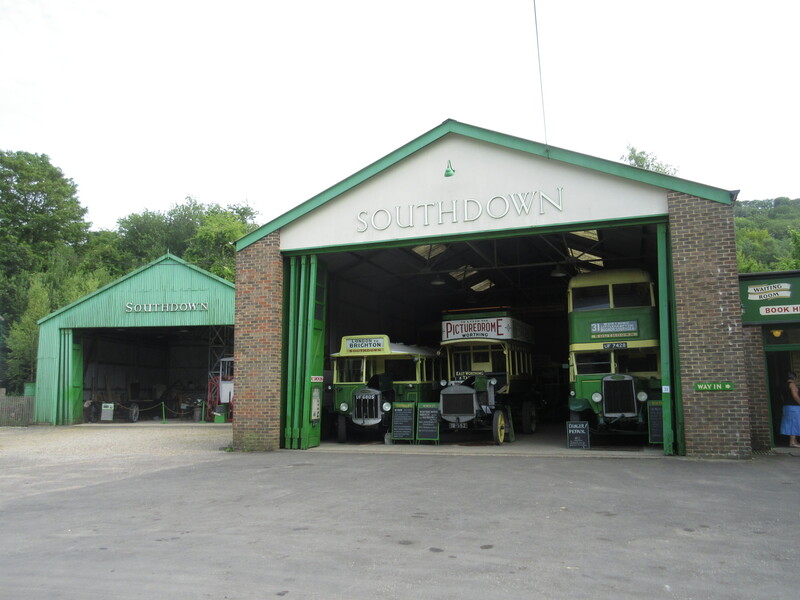 It includes an operational narrow gauge railway, Southdown bus garage (of which more below), a fire station, numerous craft and trade displays, the kilns below and a number of large exhibition spaces on specific themes such as electricity and communications. 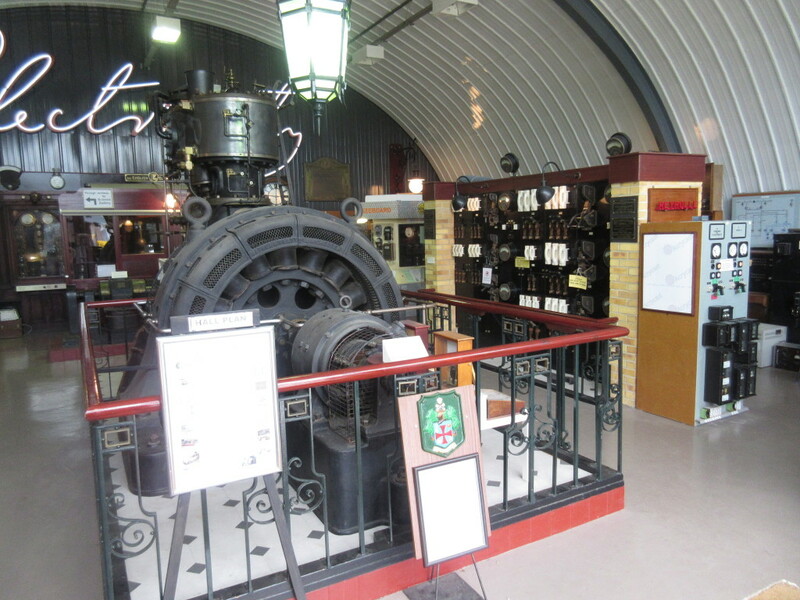 Below: In the narrow gauge exhibition hall is this former Guinness Brewery shunting locomotive – famous as their own indigenous design and capable of being lowered into broad gauge (Ireland favouring 5′ 3″ gauge as ‘standard’) conversion frames, making these little engines very useful across the various railway systems used by the brewery. 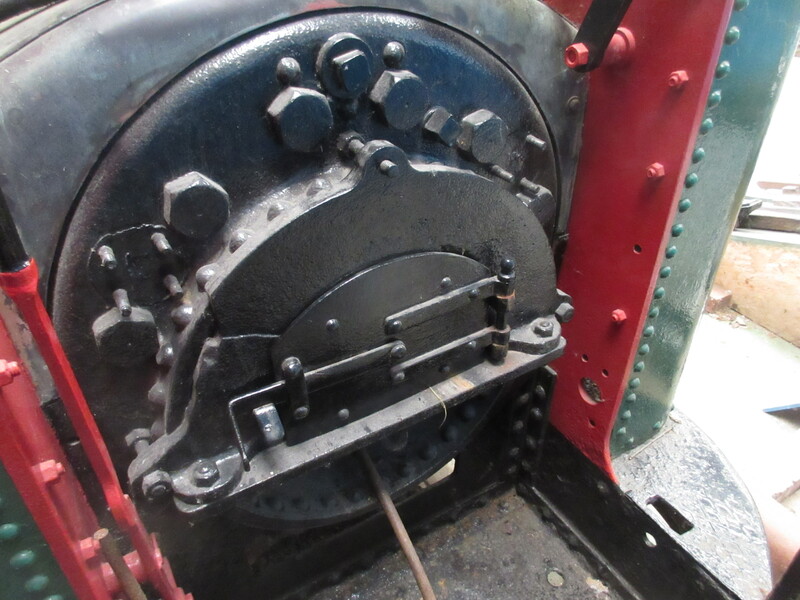 Of interest to us is the boiler – a marine type not dissimilar to Samson. Below: The electricity display is very interesting and includes shows, at intervals, of high voltage electricity in action, using a large darkened and sealed (i.e. earthed!) cabinet – still powerful enough to make your hairs quite literally stand on end. 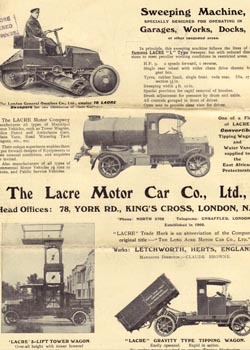 It is also crammed with period electrical fittings and equipment. Below: The telecommunications display has a huge collection, including sections of exchanges and some thorough explanations of how these worked. 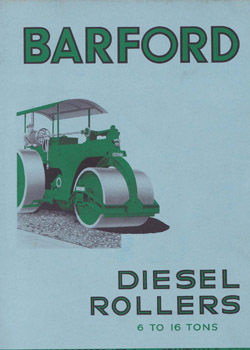 Also included are a selection of vehicles used to service the telephone lines, as seen here. 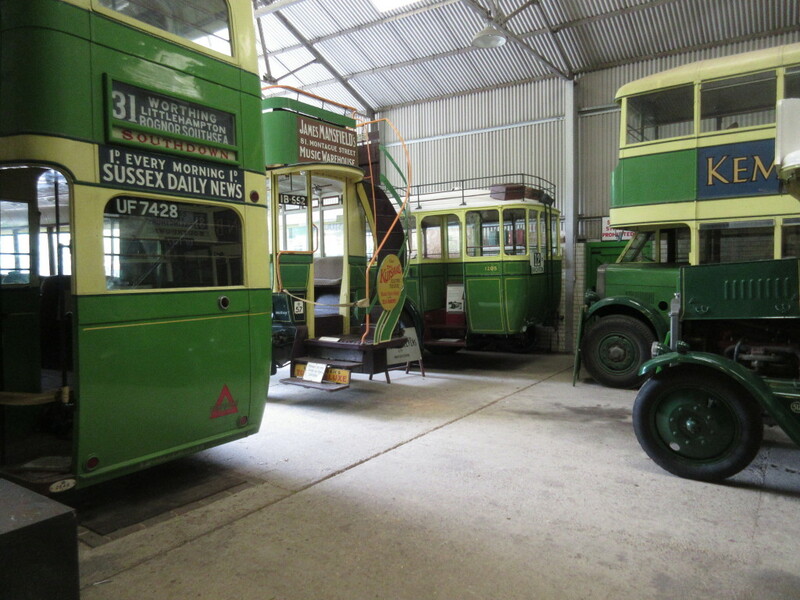 Below: The Southdown collection of buses from that company includes three bus garages, two of which are located together to form a display contain both vehicles and ephemera from the company. 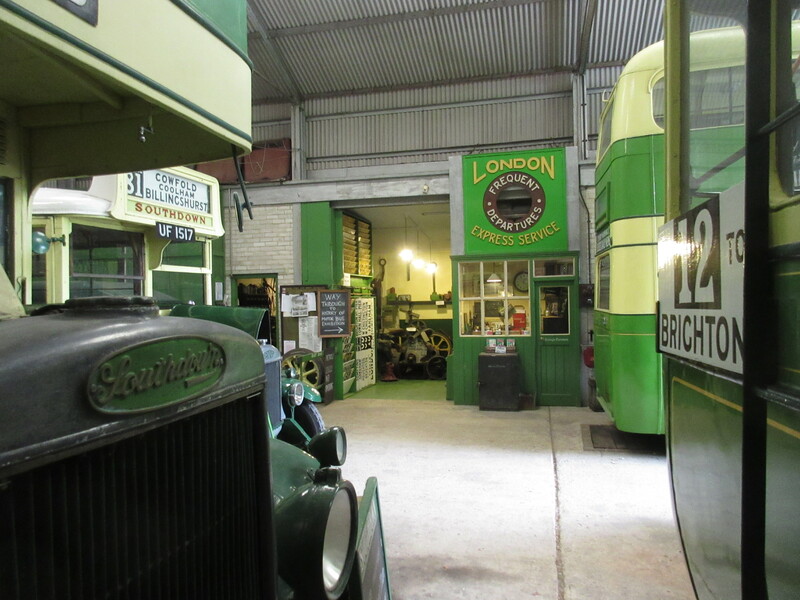 I spent over an hour in this space, to try and picture and understand how our own bus garage might look and work, with access for visitors and the parking/display space for vehicles exploited to the maximum. 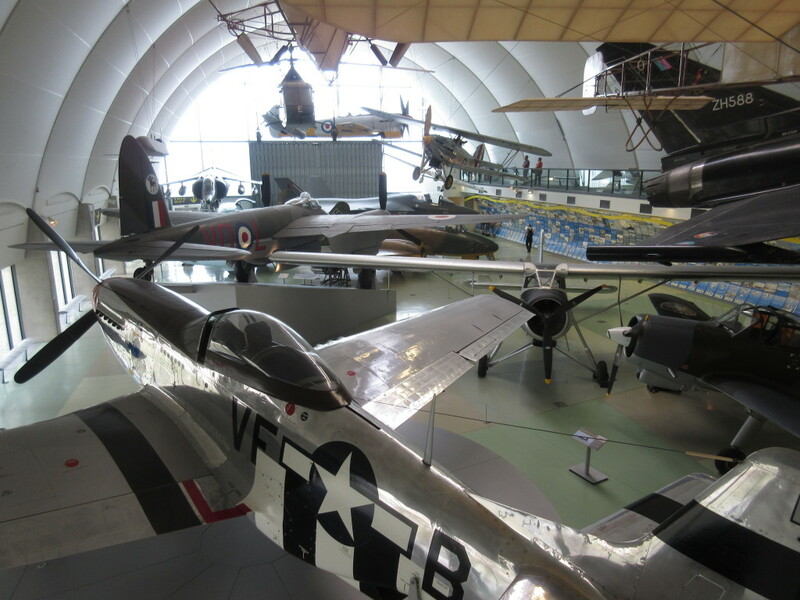 Below: Heading north I called in at the RAF Museum at Hendon (who have a new WW1 exhibition). Here the Milestones of flight display is seen. 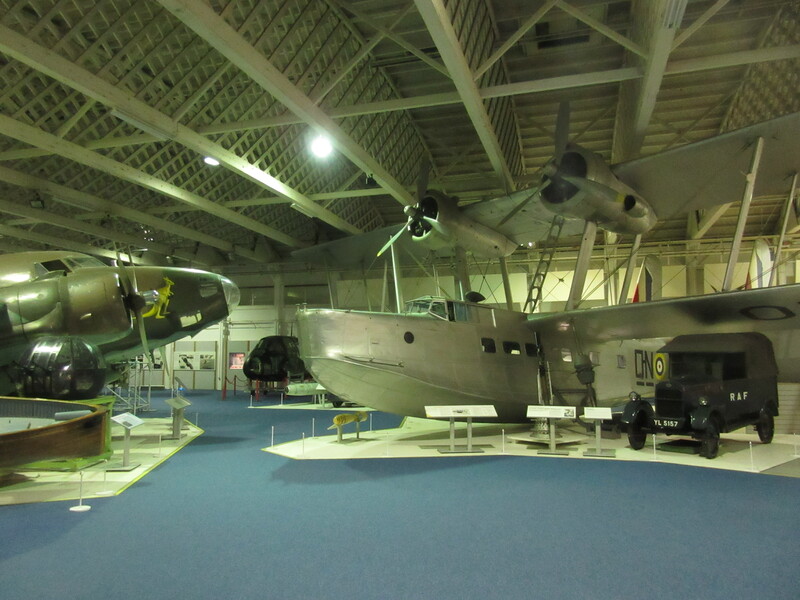 Below: I very much liked the original hangers and displays (which have dated, but this seems to add to their charm), including this Hudon and Stranraer. Note the roof truss construction. 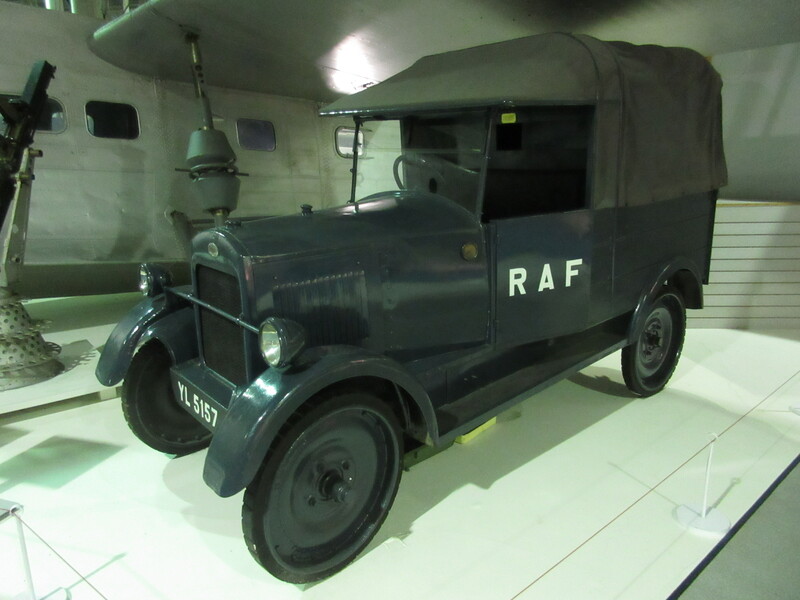 Below: This ex RAF Trojan has some links to one of our own projects – Trojans were built as a very cheap commercial vehicle at the Kingston-upon-Thames works of Leyland – later to be the centre of production for the Cub models in both passenger and commercial guises. 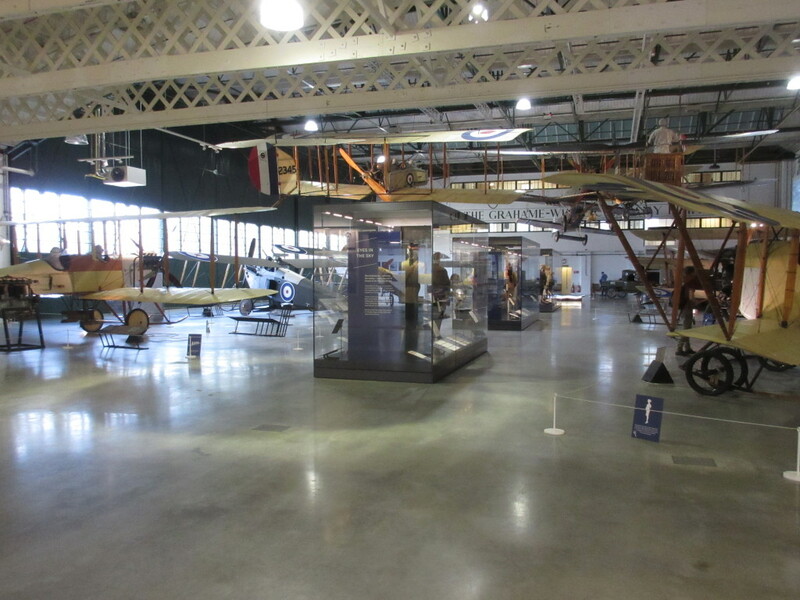 Below: An overall view of the WW1 exhibition showing just how many airframes from this period exist – some original, some virtual replica and some actual replica. A number have flow in recent times though! 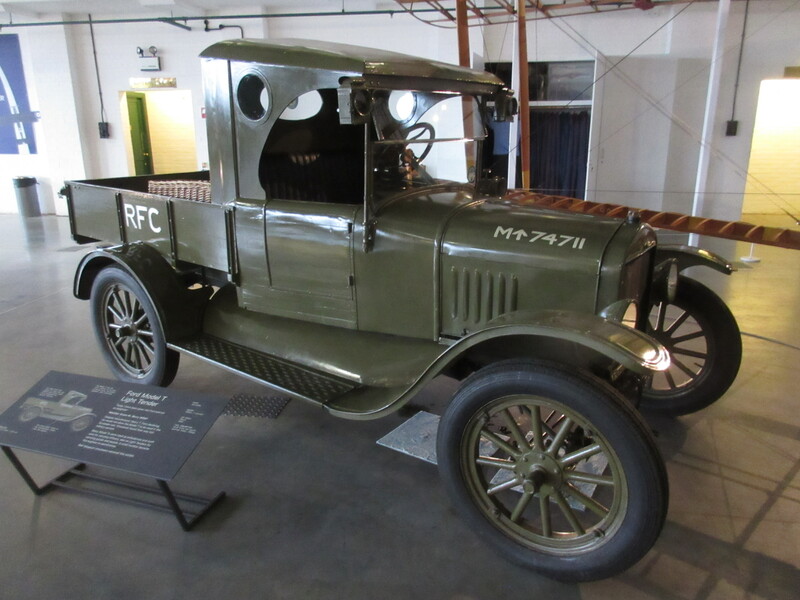 Below: Vehicles used by the ground staff of the Royal Flying Corps (RFC) are also included – the Model T above and a Phelon & Moore motorcycle below (some also had sidecars to create a combination for ferrying pilots to their aircraft. 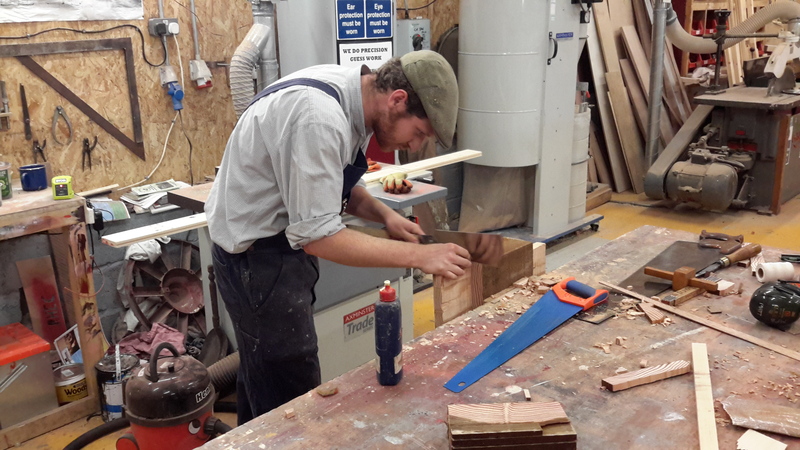 Below: Meanwhile, back at Beamish… Matt B is seen working on crossmembers for the frame of Samson’s tender – a replica of the London Lead Company ‘standard’ bottom discharge waggons. 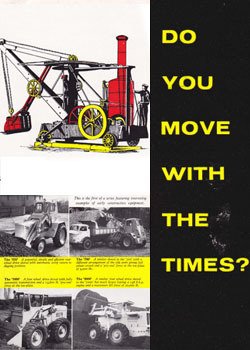 This will provide for carriage of tools and equipment that there is not room on the locomotive for, as well as additional water. 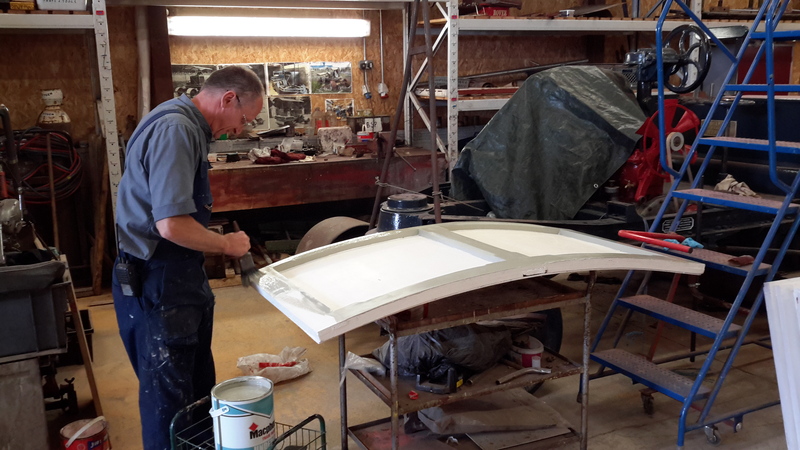 Below: Tony is carrying out some repair and modification to a fairground hook-a-duck stall. 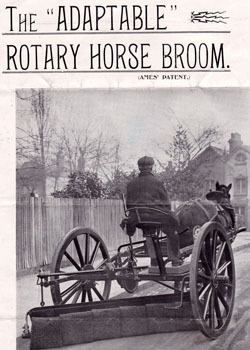 The Friends originally restored this, but it was damaged by high winds so is being modified before installation at the Fairground at Beamish. 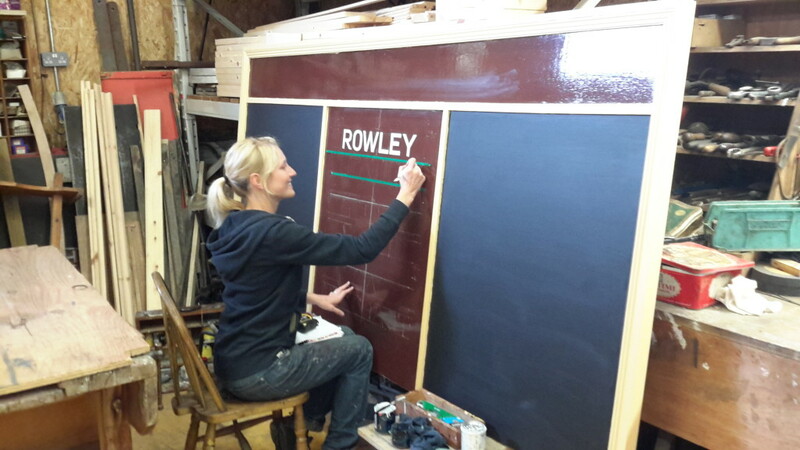 Below: Work on Rowley Station’s improvements continues – a new sign for the entrance to the goods yard area has been made and is seen being signwritten by Sarah Jarman. Until now there has been little to indicate what this area is and where it leads, so this sign will fulfil this purpose. 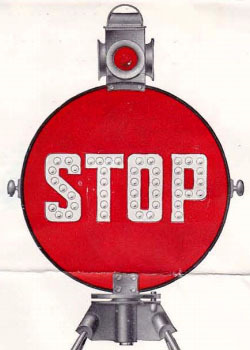 I could not find an original example to copy, but using a photo showing what might be the rear of one plus an amalgamation of other NER station and Goods Depot signage, this one has been created. The re-decoration of the exteriors of the station buildings is now underway and several other improvements to the area are also in hand. The site as a whole smells of fresh paint thanks to the relentless efforts of the painting team who are tearing through a long list of work at an impressive rate. 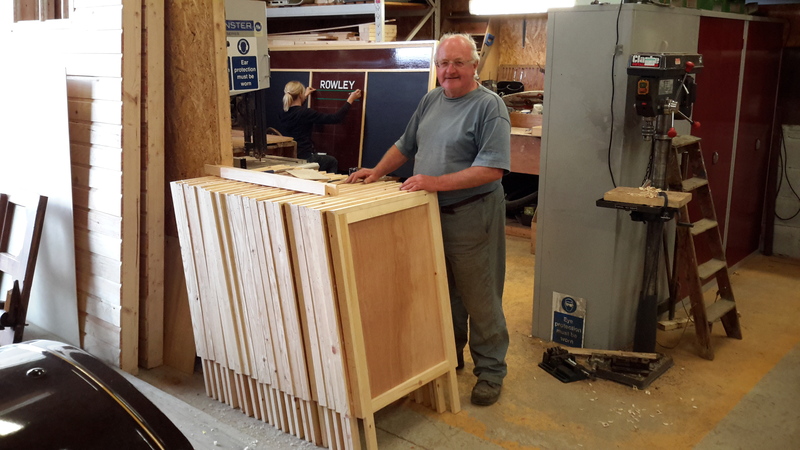 Below: Ian Finlayson, one of the Friends of Beamish volunteers is seen nearing the conclusion of the epic production run of A boards for use on site. These will be completed, painted and sign-written to enable their placement in areas where work may be underway and so any associated disruption can be explained to visitors. 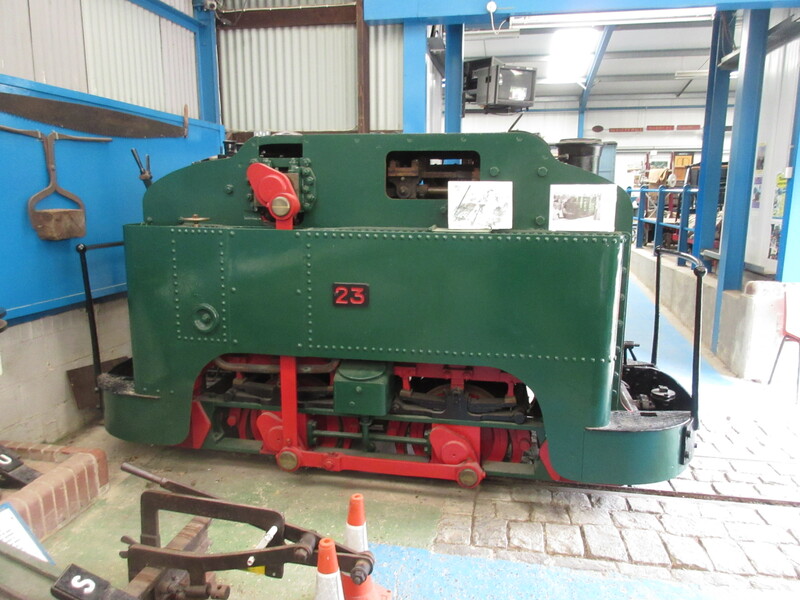 I’m looking forward to seeing the completion of Samson, as it was discovering the construction of this loco that led me to follow progress at Beamish. 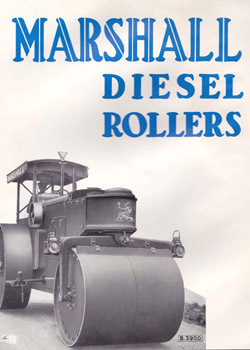 Many thanks for your comment and I’m glad Samson led you into the transport World here! 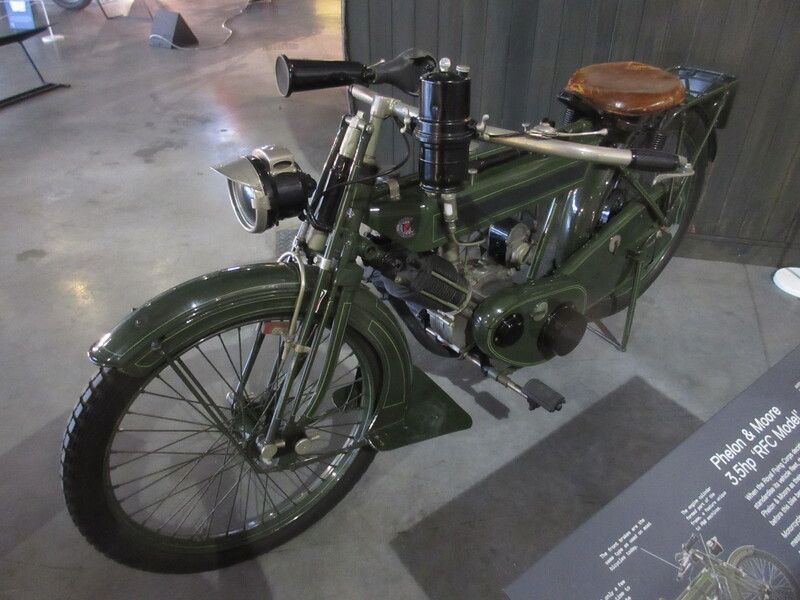 The reference to a ‘virtual replica’ is my own slant on something that actually happens quite a lot, and can be applied fairly broadly to both restorations and new-builds. 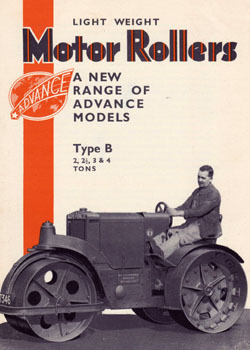 By it I mean something that is mostly new but which may incorporate some components which are genuine. In the case of the aircraft it applies to at Hendon, it is the reference in their own data panels to ‘incorporates some parts from XXXX’ but is otherwise new i.e. replica that prompted this. 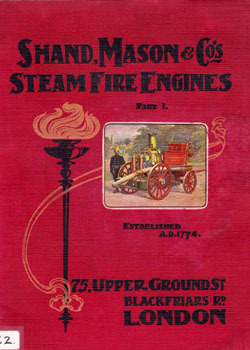 Here at Beamish you could apply the same to trams 16 and 114 – both are largely new in terms of percentage of non-original components, so could be deemed virtual replicas – though of course we are then into the World of how much of any item, especially with a long working life, is the ‘original’ as it left the works/factory! 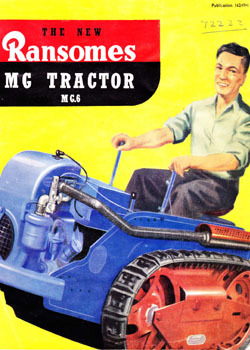 Samson is a replica, though not being an exact copy (larger driving wheels and slightly differing wheelbase), perhaps this is almost (i.e. 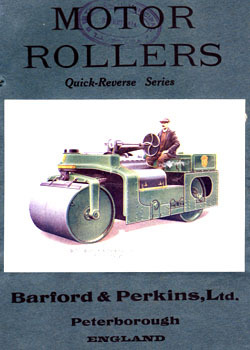 virtually) a replica rather than a true replica. 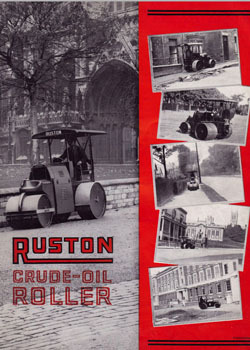 I prefer new-build in this instance as it is our Samson, closely based on the original evidence of the London Lead Co Samson 1874 – 1904. Hopefully that explains matters? 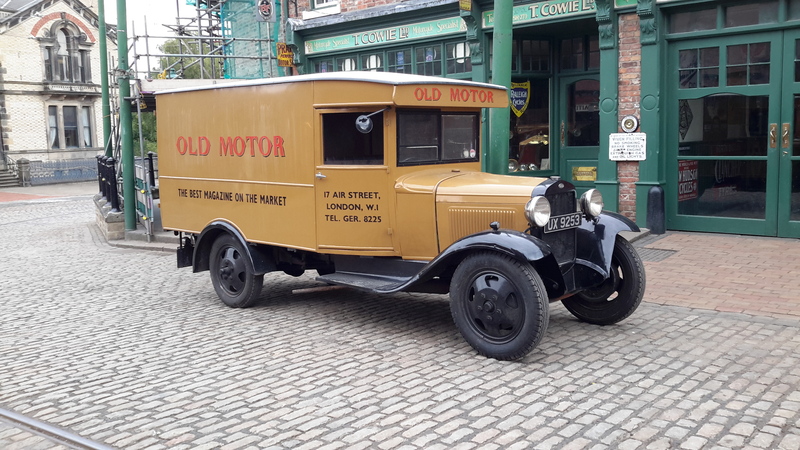 There are certainly restorations I know of, fling, driving and steaming, that contain very little of the original material and so perhaps these are virtually replicated, whilst something all new, such as our 1813 (1814 really!) 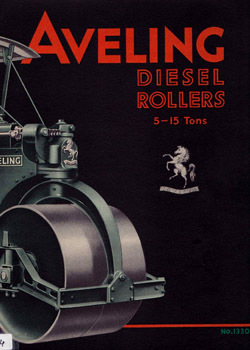 Puffing Billy is a true replica – it is all new, and copies very specifically the original, which is available to study in the Science Museum. I’m rambling now! At some point I’ll put our scoring system for objects on the blog, to explain a little more of the museum language used for working collections – which is very different to that one would apply to static collections. One for another day though! Hello Paul Interesting you are renovating a ‘ Hook a Duck ‘ fairground stall , any updates on the renovation and instalation of the ‘ Lighthouse’ ( Penny on the Mat ) at the fairground ?